The World Health Organization (WHO) definition of palliative care requires clarification. While it has been interpreted as limiting its purview to people facing life-threatening illness, this definition makes little sense in low- and middle-income countries where the means to prevent and relieve any suffering are limited, including in people without a life-threatening illness. The most basic principle of palliative care, prevention and relief of suffering, requires that palliative care conform to the needs of the people it serves. Gwyther L, Krakauer EL. WPCA policy statement on defining palliative care. 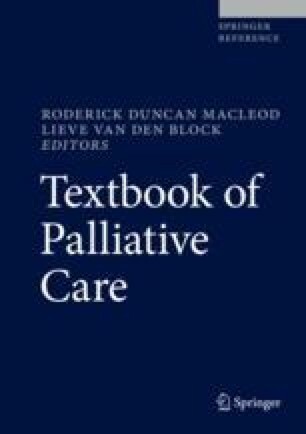 London: Worldwide Palliative Care Alliance; 2011. http://www.thewhpca.org/resources/item/definging-palliative-care. World Health Organization (WHO). World health assembly resolution 67.19: strengthening of palliative care as a component of comprehensive care throughout the life course. Geneva: World Health Organization; 2014. http://apps.who.int/gb/ebwha/pdf_files/WHA67/A67_R19-en.pdf.